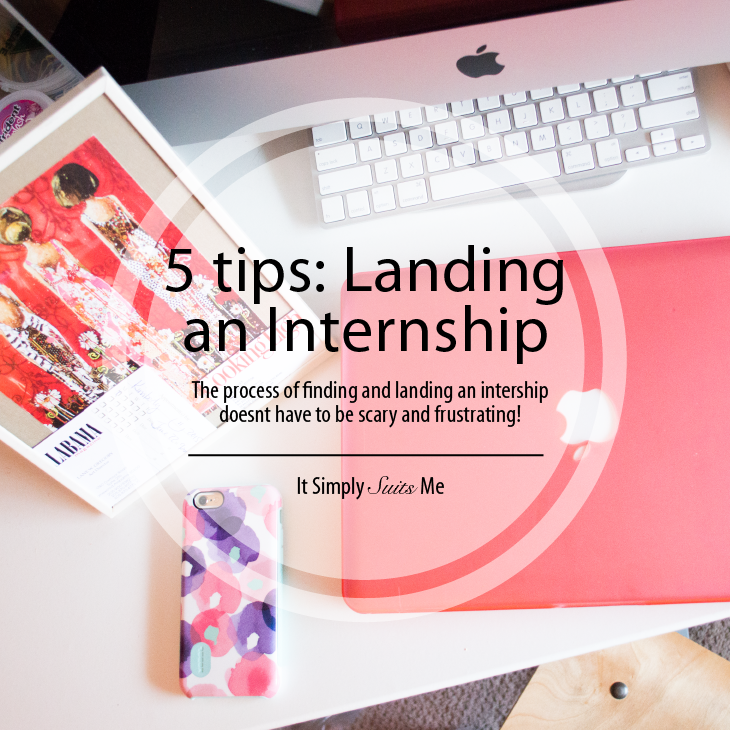 The process of finding and landing an internship doesn’t have to be scary and frustrating! Last summer I had an internship lined up months before the end of school, this year I wasn’t so lucky. But! Both years of searching have taught me 5 tips to make to process easier and more successful! Keep an open mind: When applying for internships you have to be willing to take the opportunities that are where you are. Your dream internship might be in New York when you’re stuck at home. Also, don’t sweat it if the internship doesn’t work perfectly with your major. If the work interests you then you will grow from the experience! Apply and Email: Applying online isn’t enough. Sadly but truthfully, your resume will most likely be over looked if you allow yourself to get lost in the crowd. After applying make sure to look online or call the office to find out who you should email about your interest in the position. This gives the employer the motivation to find your application. 3 sentences: When I am composing the email to introduce myself and share my interest in the internship I try to keep each thought less than 3 sentences. My first paragraph will say why I emailed them. The second paragraph will briefly describe myself. The third will repeat my intentions for emailing and point out my attached resume. The email is a shorter and less formal version of your cover letter! Don’t be afraid to ask: Last summer I found a company that really interested me but found that they didn’t post internship opportunities. So I went out on a limb and asked if they would be willing to add me to their team for the summer, and they did! They might tell you no, but from my experience they will kindly decline while offering alternative opportunities to look into! Always say thank you: The people you are contacting have more to do in their day than to answer your emails. With that in mind remember to always thank them for giving you their time. Plus you never know what contacts they have and if they will forward your information along! I hope these tips help and good luck!